Question for Adults: In what areas of my life are my actions most in need of conversion if I am to be a disciple of Jesus Christ? We all have those little corners of our being that need to be swept or dusted once in a while. Sometimes, we need a good Spring cleaning. Those are the times and the areas that we consider good material for conversion. Just as the dirt can accumulate in those corners of our house, so too can bad habits and poor or negligent attitudes develop without our noticing. Let’s take some time this week to look around. Let’s see if we can notice those areas that need to be turned around. Once we identify them, what can be done to change or clean them up? Question for Children? What is one good deed that I can do this week to make me a better follower of Jesus? Before asking your child to think of a good deed, perhaps you could take a few minutes to discuss what it means to be a follower of Jesus. This will make it easier to come up with a good deed but it will also help to have it make more sense. 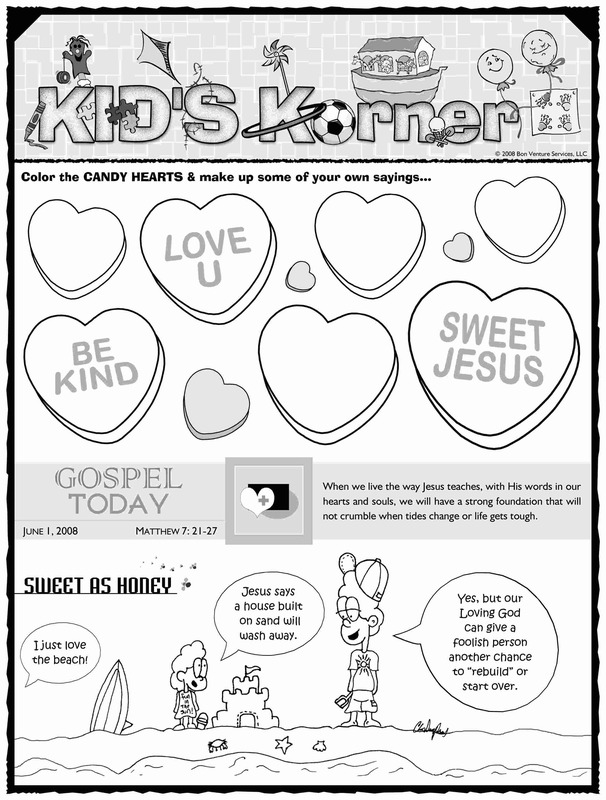 Children do not always make the connection between doing good deeds and being a follower of Jesus. Is There a Difference between a Basilica and a Cathedral? Although the two words are often used interchangeably, in actuality there is a difference. A Cathedral is the chief church of a diocese and is also a parish church. The bishop is technically the pastor of the cathedral but he appoints a rector to manage its spiritual and temporal affairs. The word Cathedra (Latin) represents the position and authority of the bishop. A Basilica is a large church that has been given the name of basilica because of its historical and spiritual importance. There are seven major basilicas in the Roman Catholic Church most of which are in Rome. There are also minor basilicas. This is a church that has been given the official designation of basilica by the Pope. A church can be a Cathedral as well as a Basilica.